Deckmetal solution is to embed the lights into the tiles themselves so that the LEDS are completely hidden. 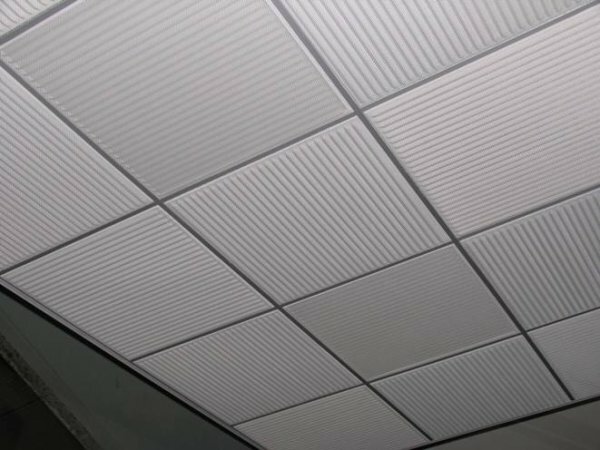 Deckmetal ceilings offer a new unbeatable solution to meet the needs of architects and interior designers looping for modern continuous ceilings. 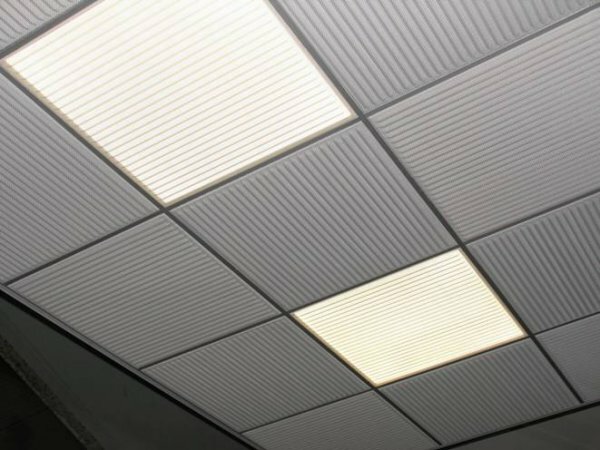 Deckmetal solution is to embed the lights into the tiles themselves thanks to LED panels, which remain hidden behind the woven wire mesh ceiling.These elements work as standard lighting when they are turned on, but they disappear when turned off. Deckmetal high open surface helps to create non-interrupted ceilings; a unique way to remove traditional visible lightings such as downlights or fluorescents. Another key benefit of these integrated lights is that they offer top-quality lighting with energy savings of up to 85%. LED lights give off the same amount of light as conventional lights but last between thirty and fifty times longer. Moreover they emit no heat and are environmentally friendly as they are tungsten and mercury free, unlike traditional light bulbs and fluorescent tubes.